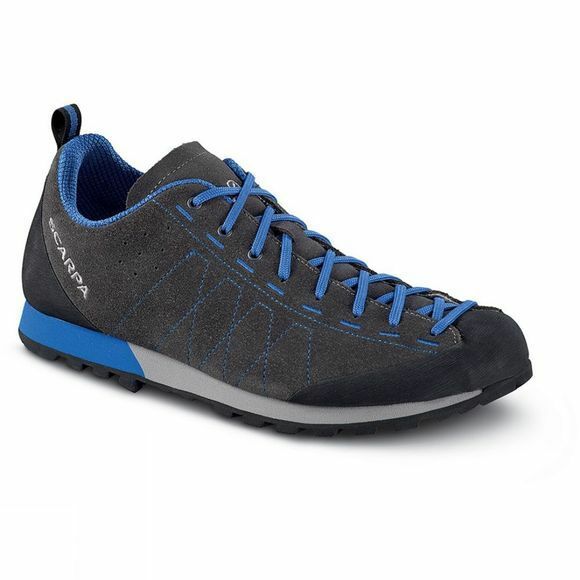 Scarpa have introduced the Highball, an everyday shoe perfect for walking to the gym or crag. The new Highball's sharp style and instant comfort is set to make it a new best seller. Inspired by our Vitamin and Oxygen models, this cocktail of soft Strobel construction and up-to-the-toe lacing provides great fit and adaptability. Underfoot cushioning is provided through the EVA wedge and underfoot grip is enhanced with the technical Vibram® sole package. A range of great colors ensures its appeal to a wide consumer base.